Stocks in Asia are down for the sixth day as the market digest Obama’s plans. 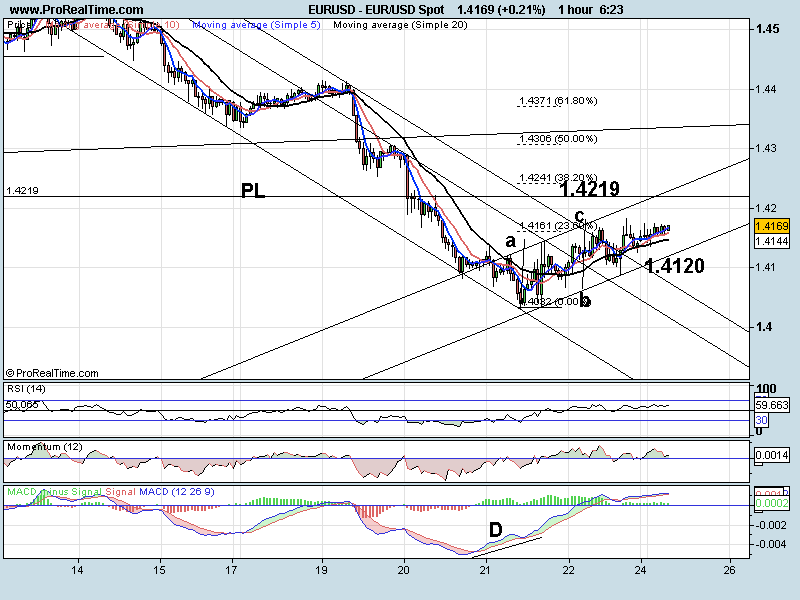 EURUSD still moves sideways up in what looks like a corrective channel. Indicators are still looking slightly bullish at the moment but this move may be losing it momentum. An ABC correction has taken us to 1.4182 (84 the high) so we should watch that level for a possible break. If we push through 14184 then 1.4219 breakout trend line is the next resistance, and that area combined with 38.2 %( 1.4241) should hold the move higher. We have the lower trend line at 1.4120. The pair is pushing higher after nearly reaching 261.8% of the first wave (1.6074). We have shown some divergence to buy here and are pushing through the 20 SMA as I write. RSI and Momentum just pushing up into their higher zones (momentum above zero / RSI above 50) so we are looking slightly bullish. 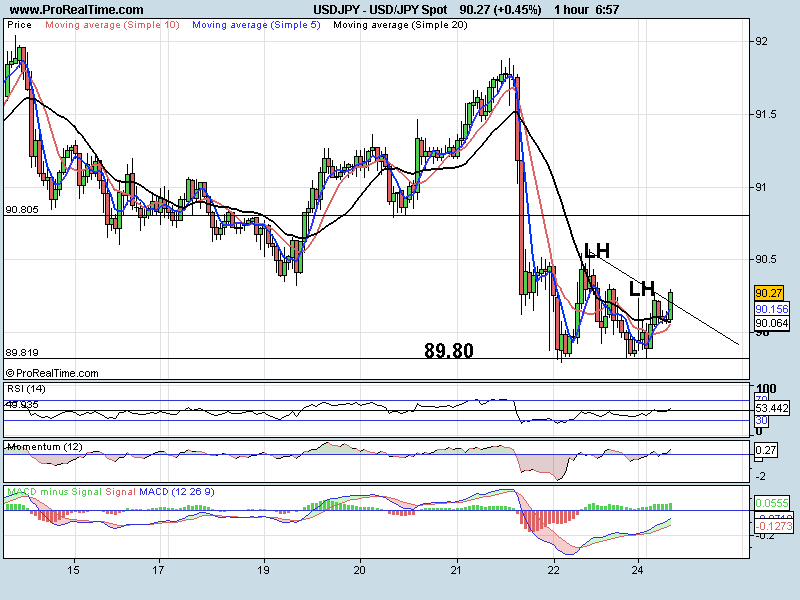 I think the move higher will only be corrective before the next leg lower. 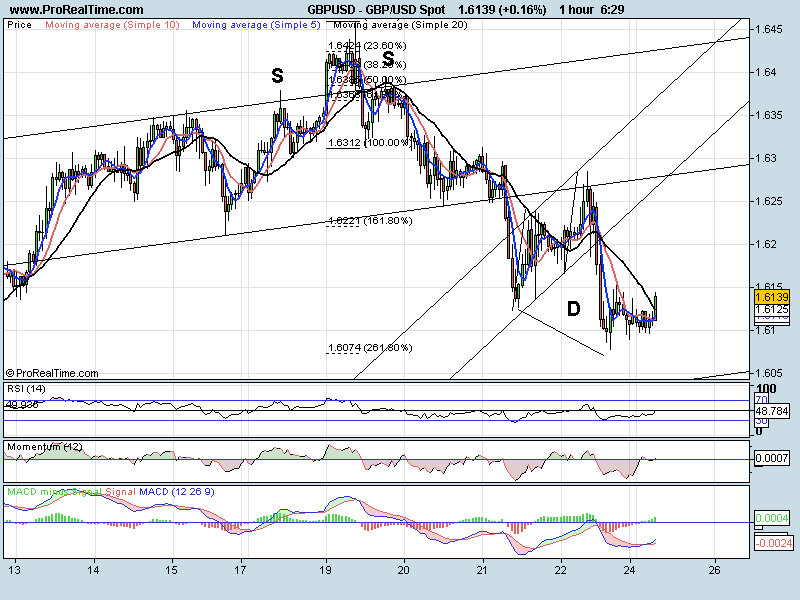 A break through 1.6096 and we should see 1.6040 major trend line support as the target. In a downward corrective channel. 10375 could be the low (between 23.6 – 38.2%). At the moment every indicator is looking mixed. A move lower and we have trend line support and 38.2% level at 1.0341. To the upside, we have trend line resistance at 1.0423. 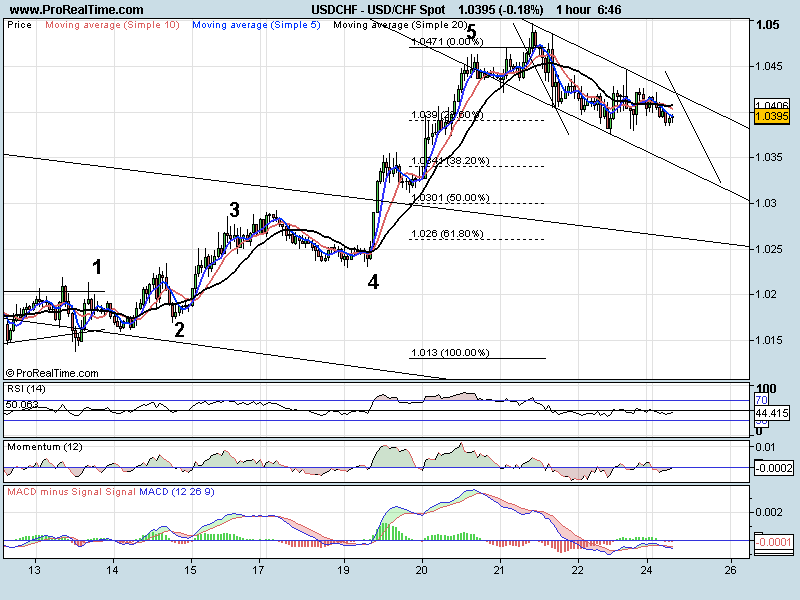 A break higher and we should see 1.0450 then 1.0500 as the targets again.